It had been a decade since my last visit to Africa. The past ten years had been spent closer to home, starting a family and getting my two little ones off to school and used to the idea that they had a globe-trotting mom, anxious to get on the road again. And I wanted to go back to Africa. I was positively giddy to be headed to Kenya to build houses on my third Global Village adventure. It was there, in Machakos, a town about 65 kilometers southeast of Nairobi that I met Ruth Wanza. Ruth is positively inspiring, like many of the Habitat homeowners I have met over the years. I spent a week getting to know her, her husband Richard, an incredibly hard-working farmer and donkey business owner, and their four children. 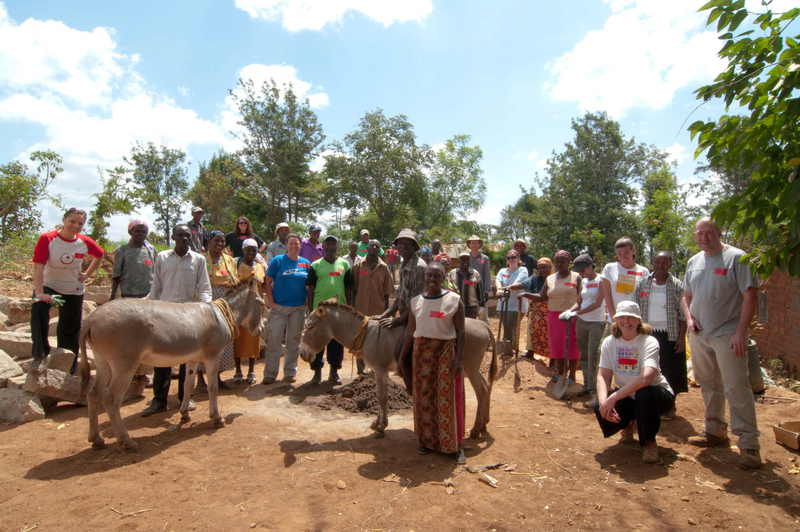 Ruth and Richard are a part of the Maendeo Self Help Group which oversees Habitat’s work in the village. As Habitat homeowners they will pay for their home with an interest free mortgage and contribute countless hours of sweat equity to build it and others in the community. This sturdy three room home, maybe 500 square feet in size, made of quarried stone and mortar will be safe and affordable shelter for a better life. I was enraptured by Kenya’s beauty, both the land and the people. And now that I’ve been to the country that has been called the real Africa – home of the Great Rift Valley, the Big Five, and superior distance runners, I am sure of one thing. God willing, I will return.